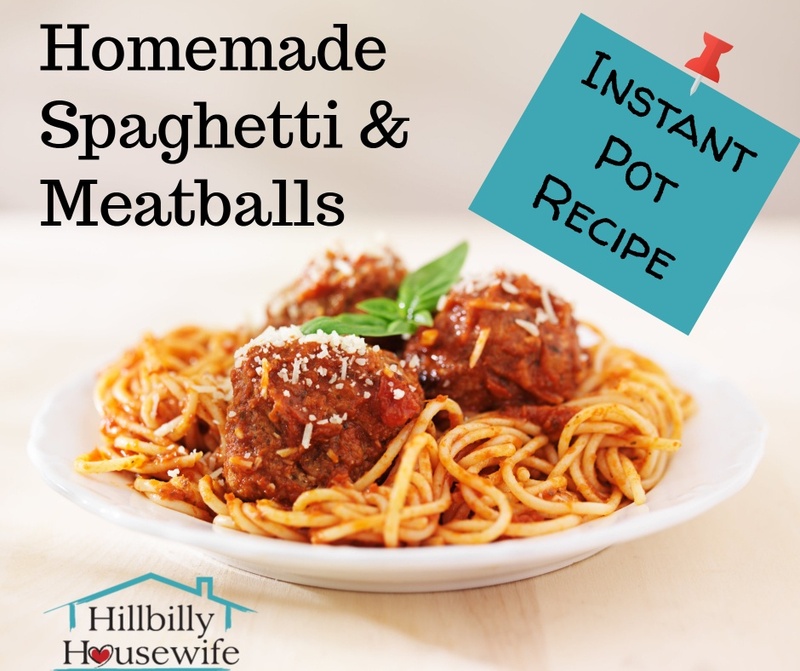 I’m getting ready to make this for dinner and through you’d like my instant pot spaghetti and meatballs recipe. It’s another family favorite around here and I like that it cooks from start to finish in the instant pot. I make my meatballs from scratch, but if you’re in a hurry, you could toss some frozen in and just omit the first steps. 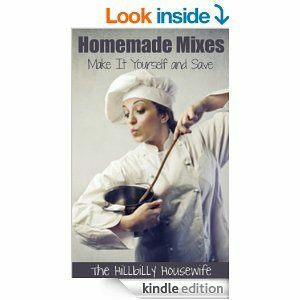 You can use a large jar of tomato sauce, or make your own. Here’s my recipe for quick and easy tomato sauce that comes together in a snap and is much less expensive than the store-bought stuff. By the way, this is the Instant Pot I love and use several times per week. Our most cooked dish is still steel cut oats, but spaghetti is right up there along with beans and rice. 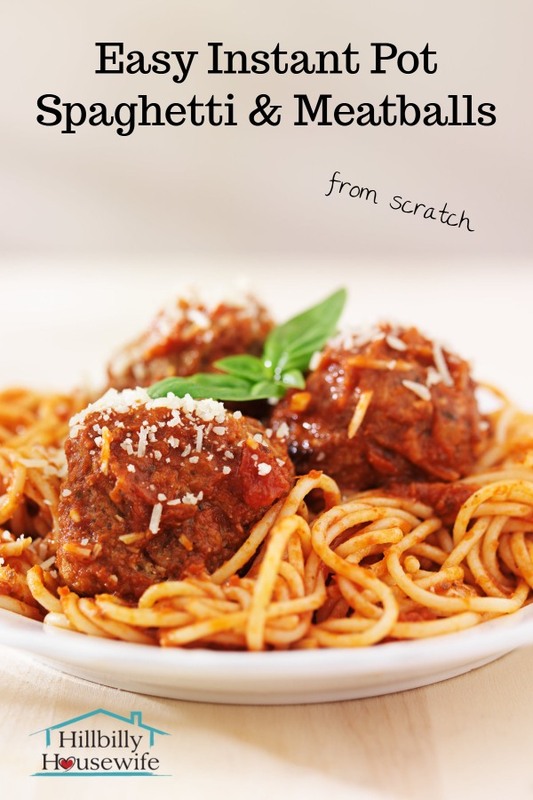 Give this instant pot spaghetti and meatballs recipe a try and see if you like it as much as I do. 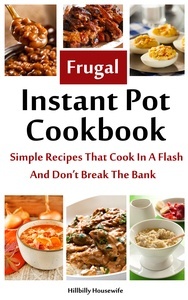 The best part is that the only thing to wash at the end of the meal is your Instant Pot insert. Mix ground meat, dry seasoning and egg well. Use a small ice cream scoop to make evenly sized meatballs. Set pressure cooker to sauté mode. Once hot, add oil and garlic. Add meatballs in one layer. Turn over meatballs to brown evenly. Remove meatballs. Set aside. Continue working in batches until all meatballs are browned. Note: They don’t have to be fully cooked as they will be cooked further later on. Add water to cooker, scraping bottom to release browned bits. Add about ½ cup of spaghetti sauce to the water. Mix well. Add uncooked spaghetti to pot. Add water until spaghetti is covered. Cook on high pressure at 4-5 minutes. Quick release, remove cooked spaghetti from cooker. Return meatballs to pot, add rest of spaghetti sauce. Cook on high pressure for another 8 minutes. Natural release. 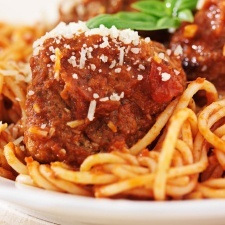 Serve meatballs, sauce on spaghetti. Garnish with Parmesan cheese if you wish.